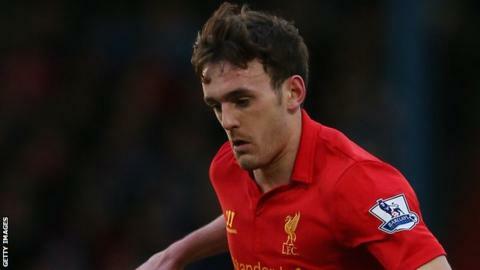 Wolverhampton Wanderers have signed Liverpool left-back Jack Robinson on loan until the end of the season. The 19-year-old has made six starts for Liverpool this season, most recently in the 3-2 FA Cup defeat at Oldham. The England Under-21 international goes straight into the squad for Tuesday's crunch relegation match at Barnsley. "He's a fresh face for us and is a good young player who is going to get even better as he gets older," manager Dean Saunders told the club website. Wolves currently sit 21st in the Championship and Tuesday's opponents are just one point and one place below them in the table. Last week Saunders pledged to strengthen his defence and Robinson becomes the second addition in eight days after Reading's Kaspars Gorkss joined last Tuesday. The ex-Doncaster and Wrexham boss swapped the Keepmoat Stadium for Molineux last month and is still awaiting his first win as manager after four draws and two defeats so far.